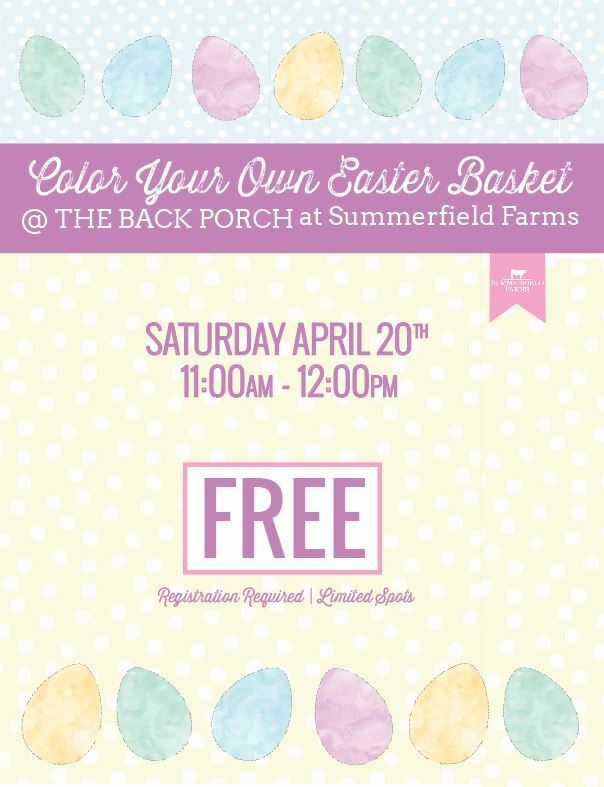 Families can enjoy a free kid’s craft at Summerfield Farms on April 20. Kiddos can color their own Easter basket. You are welcome to arrive anytime during the 11am hour. This free craft will take place outdoors at The Back Porch. When you arrive, please check-in at The Market. Adults can purchase draft beer, glasses of wine and other beverages in The Market. Registration is required. Limited spots available.